Set to take effect on July 1, 2010, are new national rules intended to protect American consumers from credit card industry practices that have been seen as unfair and deceptive. Restrict the credit card companies’ practice of raising interest rates on money that has already been borrowed. Card issuers will have to disclose their annual percentage rate and any plans for a later increase in rate at the time the account is opened. Generally prohibit interest rate increases during the first year of an account. End deferred interest so that "zero interest" really means just that. Stop credit card companies from charging late fees if the cardholder mails his or her bill fewer than 21 days before the due date. Eliminate credit card companies’ practice of averaging interest charged over the previous two months’ purchases. Called double-cycle billing, this has had the effect of forcing consumers to pay interest even if their card balance was zero. In response to these tightened regulations, credit card companies are complaining that they will lose billions of dollars. In truth, they have already lost a lot of money. An increasing number of cardholders are defaulting on their bills. Lenders lost an estimated $21 billion in the first half of 2008 in this way and are now writing off a third more in debt than they did just a couple of years ago. Some experts looking at the situation are saying that the credit card bubble may be next one to burst. Video: Racking up credit card debt in college will follow you for a long time. University students report that they have fallen victim to credit card companies’ tactics, which include sponsoring events and contests, offering perks to campus associations and giving out T-shirts. As a result, some universities are placing restrictions on how credit card companies can solicit students. One study found that two-thirds of surveyed college students had a credit card and more than half relied on them to buy daily necessities and school supplies. When students default on credit card loans, they face long-lasting damage to their credit rating. The 2010 legislation won’t prevent credit card companies from making a profit, but it will change how they do it. Card companies have already started raising interest rates (American Express says it plans to hike interest rates by 2% or 3%), reducing lines of credit (Capital One has cut customer credit lines) and canceling accounts (Bank of America and Citigroup are raising standards for applicants and abandoning their riskiest customers). Some companies are lowering the credit lines of cardholders who are found to shop at stores where other high-risk borrowers shop, have a mortgage from troubled lenders, live in areas where the housing crisis has hit hardest or work in threatened industries. And rewards programs are becoming, well, less rewarding. 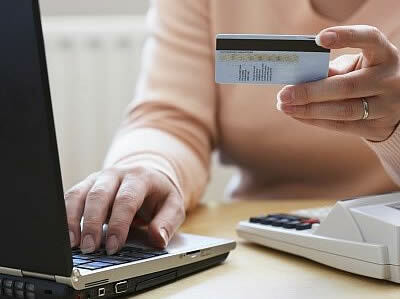 Some financial advisors urge consumers to avoid using credit cards altogether. The use of debit cards, checks and, yes, cash seems to help individuals get their finances under control because the fact that money is being spent hits the spender immediately. And of course, paying off the balance owed entirely every month is a certain way to avoid interest charges, no matter what might happen to them between now and the effective date of the new legislation.